Contains natural Aquamin™ Mg marine magnesium, which is manufactured from the Irish sea water. Aquamin™ Mg marine magnesium also contains small amounts of 72 additional trace minerals from sea, which act synergistically with magnesium and boost its effects in the body. 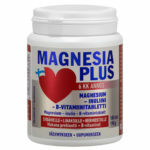 Magnesium is an essential mineral especially for the nervous system, heart and muscles. It participates in the function of more than 300 different enzymes and also regulates cell metabolism. 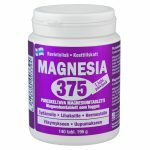 Magnesium contributes to electrolyte balance, normal protein synthesis and normal psychological functions. Magnesium helps to fight tiredness and exhaustion, enhances the normal function of the nervous system and muscles and facilitates muscle cramps. Simple diet, excessive use of sugar, salt, animal fats, and alcohol as well as fasting and sports may cause magnesium deficiency. 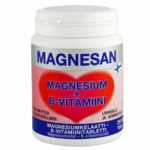 The need for magnesium is also increased during pregnancy. Aquamin™ Mg magnesium Hydroxide is derived naturally from the clean waters of the Irish coast. 500 000 kg of seawater are required to produce 1000 kg of high-grade magnesium hydroxide. During the process, prepared calcium oxide reacts with the magnesium in seawater to precipitate magnesium hydroxide. The magnesium hydroxide is washed repeatedly with fresh water and dried to a fine magnesium hydroxide powder. 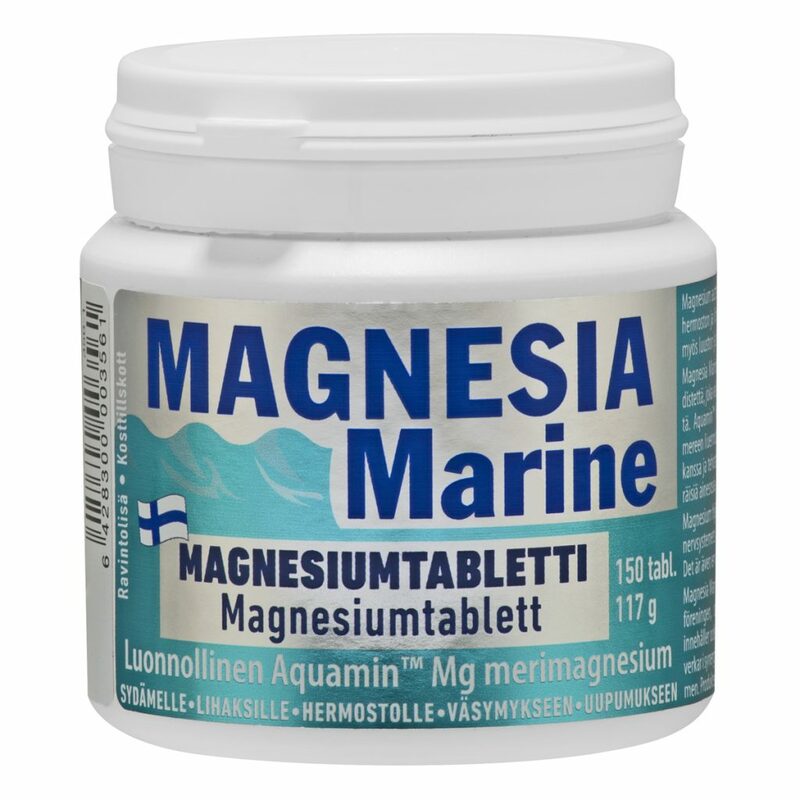 This powder contains 72 additional trace minerals from the sea, which as part of the Aquamin Mg multimineral matrix, work synergistically and give a powerful boost to the action of the magnesium. Aquamin™ Mg is soluble in stomach acid (solubility almost 90 %) allowing absorption into the blood stream. Magnesium oxide must convert to magnesium hydroxide before dissolution in acid can even begin. 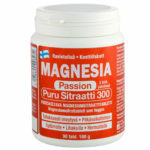 Only dissolved magnesium can absorb as magnesium is mainly absorbed as free ions.